What Are the Different Types of Investment Accounts and Which One Should I Choose? The second installment of our monthly Investing Basics Series is all about the different types of investment accounts available, how they work, and how to determine which one(s) you should invest in. There are two types of Investment Accounts: Non-Qualified and Qualified. The main difference between these two types of accounts is how they are treated tax-wise. An easy way to remember which is what, Qualified Accounts qualify for preferential tax treatment. Nonqualified Accounts do not. Let’s start with Non-Qualified Accounts first. The two most common types of Non-Qualified Accounts are your checking and savings accounts. You can open these accounts at a bank or a credit union. These are usually cash only thus very liquid and very easy to access. The common Non-Qualified account is a Brokerage account. Unlike your Checking and Savings accounts, you have to open a Brokerage account at a Brokerage firm. With a Brokerage account, you can invest your money in different types of securities such as stocks, bonds, mutual funds, etc. instead of leaving it all as cash. Because of this, Brokerage accounts are not as liquid or as easily accessible as a Checking or Savings account. Another advantage of Nonqualified accounts is that you use after-tax dollars to fund them. This means when you take the money you have invested out of the account you don’t have to pay taxes on it again. Remember, you paid taxes on the earned money you invested… and having to pay taxes again would be considered double taxation. However, you may have to pay capital gains tax on any gains made inside the account as dividends and interest are usually taxed as ordinary income. Now, moving on to Qualified Accounts. There are two different types of Qualified Accounts. Individual Qualified Accounts can be opened at a Brokerage firm, bank, or credit union. Like Nonqualified Accounts, you use after-tax dollars to contribute. The main difference between an IRA and a Roth IRA is how they are taxed. The money you invest in an IRA may be tax-deferred. This means you only pay taxes when you take the money out. The money you invest in an IRA also grows tax-deferred. Interest, dividends, trading that results in gains are NOT taxable. With Roth IRAs, you don’t qualify for a tax deduction when you contribute. And like with IRAs, the money you invest will grow tax-deferred. Again, interest, dividends, and any gains inside the account are NOT taxable. When you take the money out of your Roth IRA, it will be withdrawn TAX-FREE, both the money contributed AND growth gains accumulated. However, there are downsides to Qualified Accounts. These are different than Individual Qualified accounts because you contribute to them through your employer and fund the account through your paycheck. Because you fund the account through your paycheck, you are using pre-tax dollars. As a result, you get a tax break because less of your income is being taxed. Another great advantage to these types of accounts is that often your employer matches a portion of your contribution. So you’re getting a little extra funding in this account than you would in other types of accounts. However, these plans have limits too. They have the same limits as Individual Qualified accounts have, but are a bit more lenient. Also, the contribution limit is usually higher for Employer-Sponsored Plans than for IRAs and Roth IRAs. A disadvantage to Employer-Sponsored Plans is they tend to be less flexible than other Qualified and Nonqualified accounts. On the flip side is the fact Employer-Sponsored Plans tend to be pooled so you have access to economies of scale and they may be more efficient (aka cheaper) than opening an IRA by yourself. Now that we know what type of accounts are out there and how they work, how do you determine which one you should invest in? As we briefly discussed above, there are pros and cons to opening each type of account. What do you anticipate for taxes? If your goal is to fund your everyday expenses and build your emergency fund, then you should definitely stick to funding your checking and savings account. If you need help in creating a budgeting strategy that works for you, check out our first post in our Investing Basics series. If your goal is to save up for a big purchase like a car or a home, then opening a Brokerage account might be your best option. Letting your money grow in this type of investment account might be a smarter and faster way to reach your goal. If you’re thinking about financing your retirement, then definitely consider a Qualified Account or a few! If you have an Employee Sponsored plan available and you also want to benefit from the tax advantages of a Roth IRA and/or an IRA AND your emergency fund is all set, invest in these as well! Again, if you need your money easily accessible and fast, then stick to that checking and savings account. If you have a little bit longer of a time period, open a Brokerage account. Because it’s less liquid and less accessible than a checking/savings account, it will make it easier to not touch that money, making it easier to save for that big purchase down the road. If you have a really long time horizon (we’re talking decades), then definitely open up a Qualified Account. 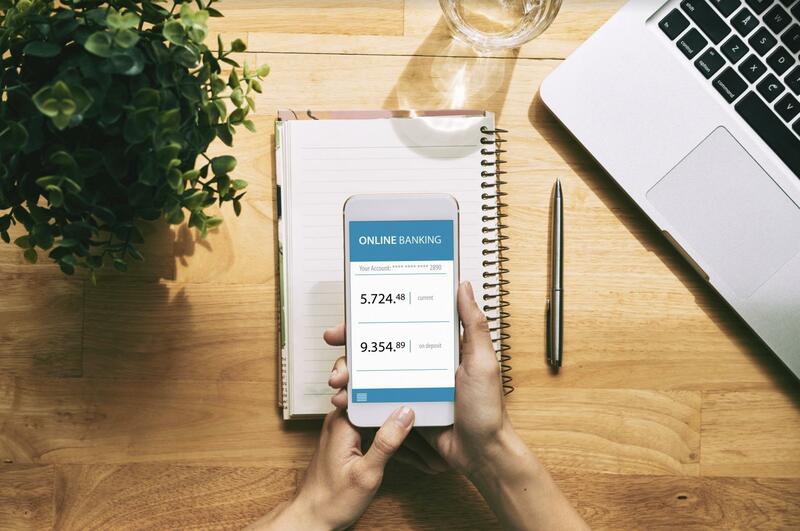 Because of the restrictions in place for when you can take your money out of these accounts, you will be less tempted to dip into these savings than you would your Savings account or Brokerage account. If you would rather take deductions now, rather than when you take the money out, then opening an IRA is a better option for you. One thing to consider when choosing this option is inflation. We have no way of know what inflation or taxes are going to be like 20, 30, 40 years down the road when you start taking deductions from your IRA. If you would rather not take deductions now, but pay no taxes when you take your money out, than a Roth IRA is probably the better option for you. Bear in mind there is an income limit for Roth IRAs. If you file single on your taxes and make over $137,000 or if you file as a married couple and combined you make over $203,000, then you are not eligible to contribute to a Roth IRA. And with Employer-Sponsored Plans, it’s important that you check with your employer to learn all your options, if any, on how your Employer-Sponsored Plan is taxed. Regardless of which type of account you choose, in my opinion, and from personal experience, if you dedicate a purpose to your account, it makes it much easier to keep contributing and saving for that goal. If you would like more in-depth advice about the different types of accounts available, which type you should open, or if you would like for someone to help you manage your accounts, please give us a call or schedule a Get Acquainted Meeting with Hamilton Financial Planning. We would love to hear from you! Have Questions About Account Types? Schedule Your Complimentary Get Acquainted Meeting Today!